When it comes to office and house cleaning, Miranda residents know they can rely on Merit Cleaning. Our professional, police checked, and fully insured team are here for all your commercial and residential cleaning needs. 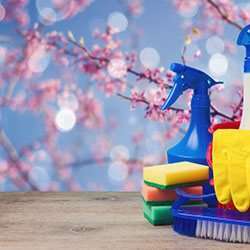 Whether you need comprehensive strata cleaning for your building or it’s time to take care of the spring cleaning at home, we are here for you. Looking for the finest office cleaning Miranda has to offer? The team at Merit Cleaning will comprehensively clean every surface, from computer monitor to desks and even the kitchen sink. You can trust our team to discreetly and professionally clean your office, leaving it ready for customers, clients, and a re-energised team of employees. When they choose us for their office cleaning, Miranda managers can rest assured that the job will be well done, whether it’s one-off or ongoing. If you do choose ongoing cleaning with Merit Cleaning, you won’t be asked to sign a contract. We like to keep things clean and simple, just like our services! Contact us today to get started with the best office cleaning Miranda has to offer. When it comes to cleaning the house, you won’t often find volunteers. If you’re sick of doing it yourself, call Merit Cleaning for the best house cleaning Miranda has to offer. Our team will come to your home or rental property to provide all the cleaning services you require. Once-off or ongoing, comprehensive or specialist, we offer whatever cleaning services you require. Ask us about a customised cleaning plan for your home. For all things cleaning, Miranda residents choose Merit. Call us on 1300 063 748 or get a quote online.